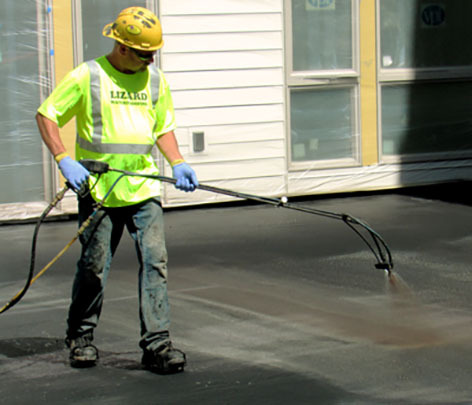 "The General Contractor saw the value in using EPRO’s e.spray fluid-applied system over the competitor’s sheet goods because of its ability to be applied on green concrete (uncured concrete), which helped speed up the construction schedule,” says Tom Shuey, EPRO manufacturer’s representative, Section 7 Marketing. Located in the aptly-named Paradise Valley, AZ, the Ritz-Carlton residences is set to combine a luxury hotel with high-end living. 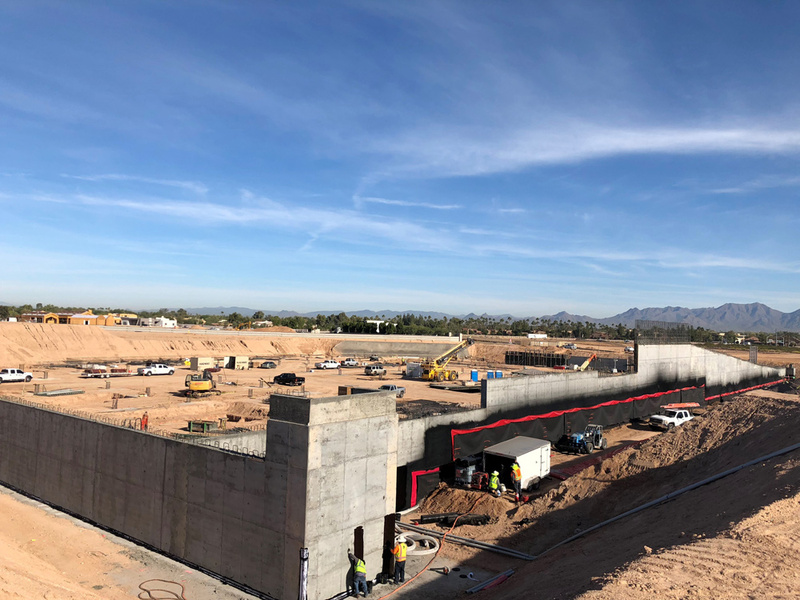 The project encompasses a 200-room Ritz-Carlton resort that will be surrounded by 91 single-level villas and 45 single-family homes.The hotel will also be home to the longest pool in North America, spanning 400 feet, and a 30,000 square-foot spa featuring indoor and outdoor treatment areas. 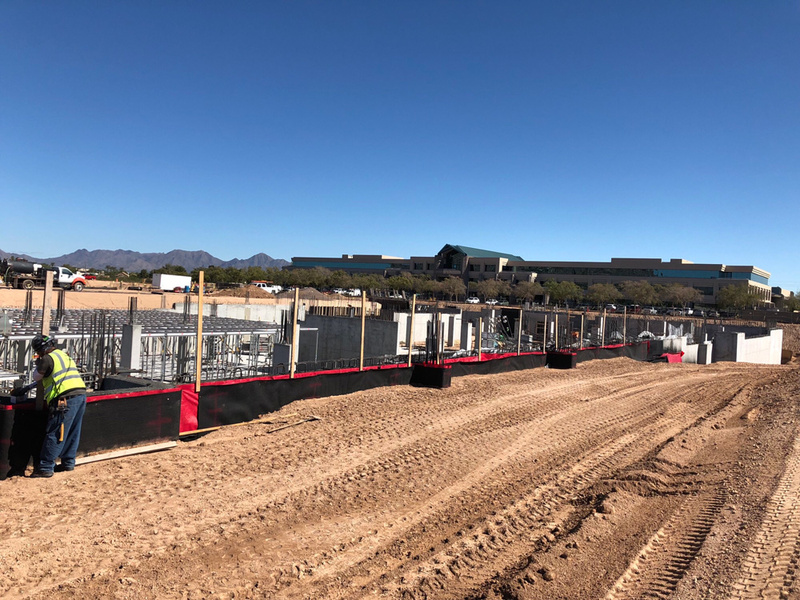 Guests will also be able to take advantage of a state-of-the-art health and fitness center, indoor and outdoor meeting and event space, a citrus orchard, a garden that will have seasonal produce harvested by on-site restaurants, walking paths and a grand lawn. To preserve the natural beauty of this area, the developer, Five Star Development, designed an underground parking facility. 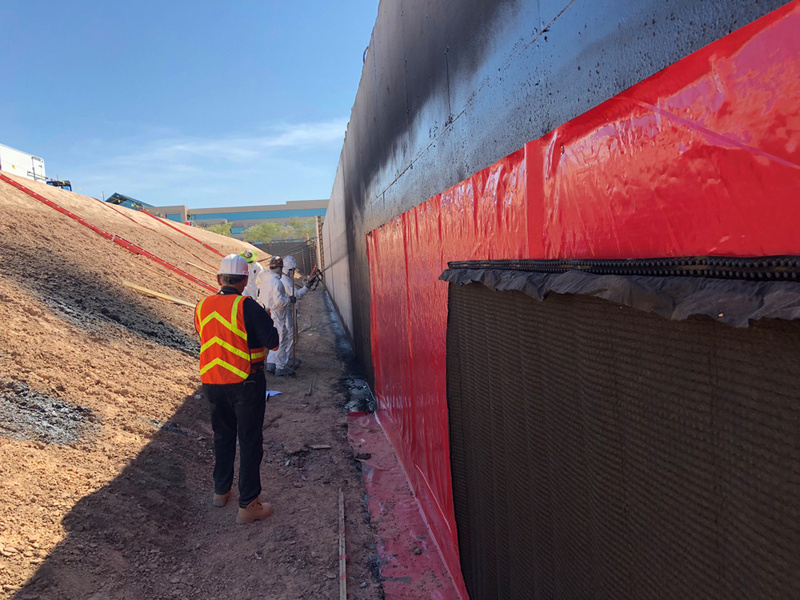 The two garages are being built simultaneously, and due to the construction schedule, the original, specified waterproofing product was not an ideal solution. 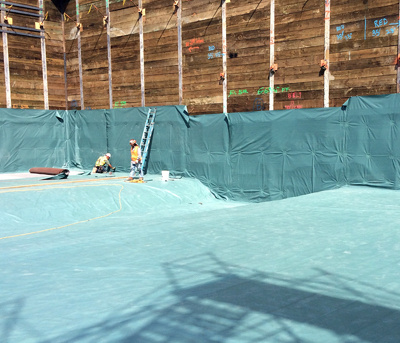 Initially, a peel and stick membrane was selected for the job. However, EPRO’s e.spray at 80 mils was chosen as an alternative to help speed up the schedule. 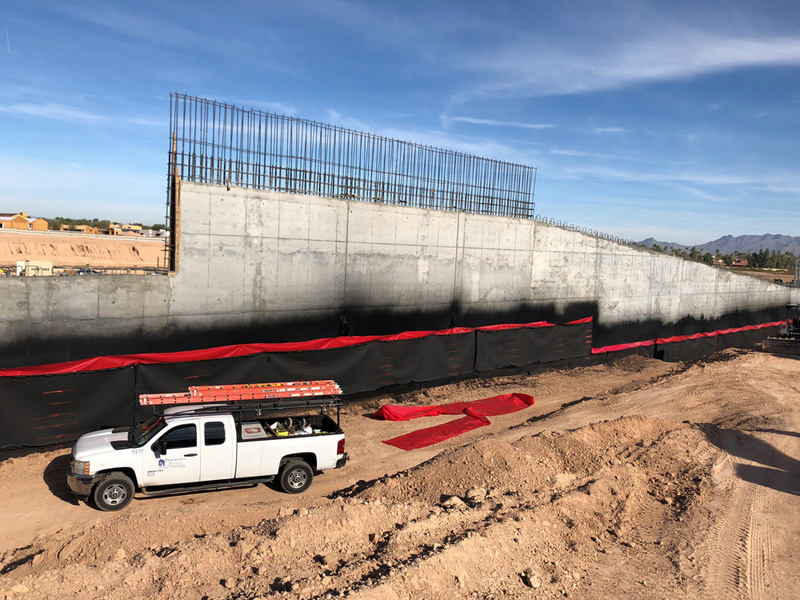 At one story below grade, E.Protect Wall (e.spray 80 mils, e.shield 115, and e.drain 6000) was used to waterproof and protect the space. 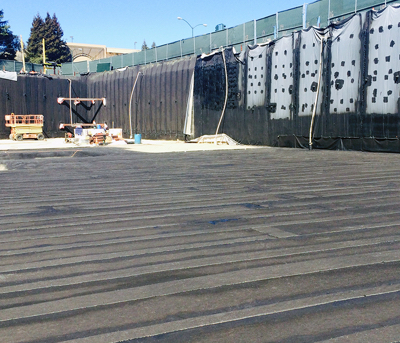 In total, 60,000 square feet of product was applied over this site. Additionally, for all its products and projects, EPRO is able to provide robust warranties. “The owner was extremely pleased with the fact that they could get an extended 20-year labor and material warranty with the EPRO system. It was a benefit to the system and was maybe not possible to achieve with the original, specified product, which was not by EPRO.” says Tom Shuey, EPRO manufacturer’s representative, Section 7 Marketing. Additionally, for all its products and projects, EPRO is able to provide robust warranties. In the case of the Ritz-Carloton project, Shuey adds, "the owner was extremely pleased with the fact that they could get an extended 20-year labor and material warranty with the EPRO system. It was a benefit to the system and was maybe not possible to achieve with the original, specified product, which was not by EPRO.” Warranties are way that EPRO encourages the entire project team to collaborate with EPRO to anticipate and overcome challenges in the field. For this reason, EPRO offers a wide range of warranty options, including a No-Dollar-Limit labor and material warranty.